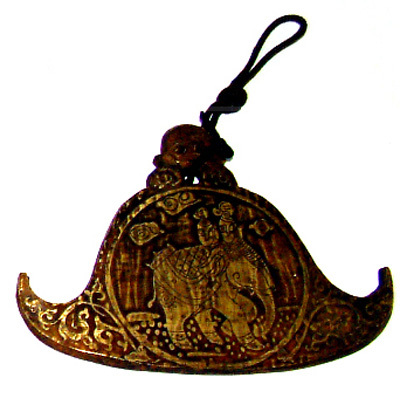 Also known as the Kyeezee or Burma Bell this traditional bronze instrument from the temples of Burma, is played by holding the gong by the string and hitting one corner of the gong with the beater, causing it to spin. This creates an unusual pulsing sound. These high quality spinning gongs are engraved with various images, designs vary. Available in four sizes from 12 cm to 17 cm. Supplied with wooden beater.